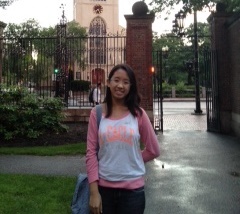 Claire Chen is the co-editor-in-chief of KnightWriters, the print newspaper. She is also a member of the Robinson Orchestra, Model UN, Mu Alpha Theta, and JSA. In her free time, Claire enjoys playing the piano and violin, reading, writing short stories, and running. She speaks Mandarin Chinese, and loves traveling to cool places.